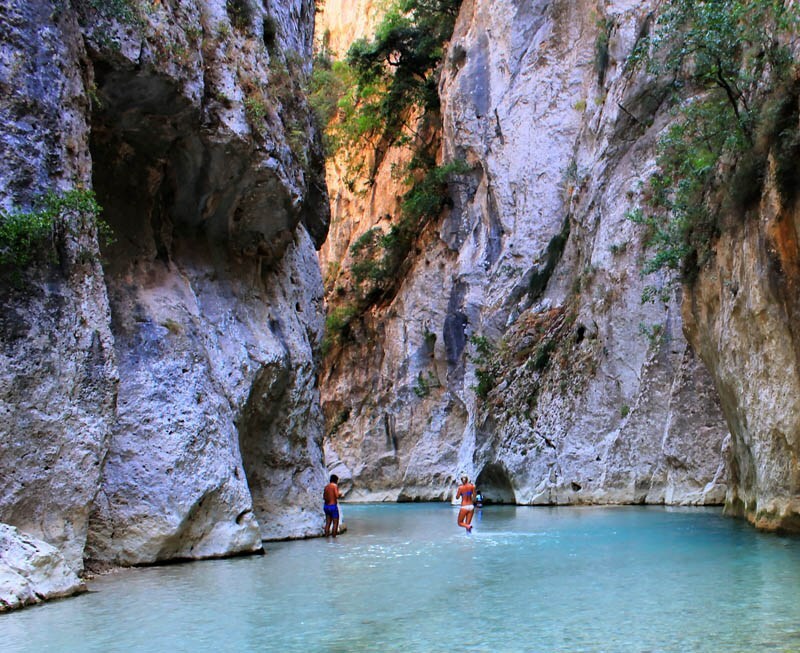 Acheron River, The Mythical Gate To The Underworld! The triumph of Love over Death: Orpheus, son of the muse Calliope, was devastated by the death of his wife Eurudice. With his weeping lyre he achieved to move the king and queen of the dead, Hades and Persephone, and won himself a chance to claim the blossom of his heart back from the Kingdom of Silence. 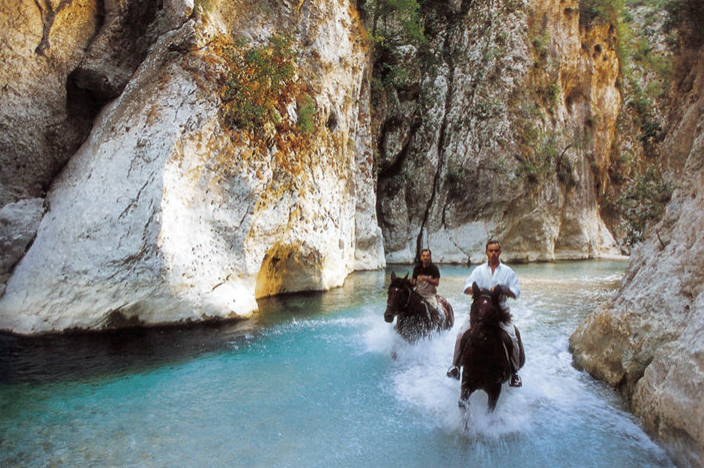 To do so, he had to cross the Acheron River, the watery border between Life and Death. Where all one’s senses awake in awe and amazement is a place worth to symbolise life. The river springs from the area known by the name of the village Glykí at an altitude of 1.600 metres in the mountains of Soúli and discharges in the area of Ammoudiá on the Ionian coast. On its way, it passes through wonderful gorges, proud and audacious precipices, endless landscapes of peace and handsomeness, and it forms some ponds and lakes here and there; and all that under the surveillance of age-old plane trees. And, of course, the habitat of such a unique place is a member of the Natura 2000 network. Plane trees bending over gurgling fountains seem to be begging for water, exhausted as they are by the load of climbing plants that endure eternity by clinging to the trees’ trunks. Snow white limestone rocks lie on the bed of the river, where thick ferns lounge around. Dominated by nuances of green, exciting paths stretch along the river; at times they cross it, as they tread on arched rocky bridges. At a certain point the river narrows between green-clad steep high cliffs that seem to be forming an enormous gate through which the water of the river rushes fiercely; no wonder the legendary name of the spot is “The Gate to the Underworld”. Two of the most impressive and stirring trails are Glykí-Skála Tzavélenas and Skála Tzavélenas- the Soúli plateau. The area is accessible by car through motorways. Once you get there, enjoy the hospitality of the people of Glykí, Paramythiá and Ammoudiá. Parga and Sývota are the optimum choices for the summer.